This page is a collection of sites, books, and online forums that provide examples and information on how to do camper van conversions, and info on camper van living. Good forum for all things ProMaster. Has a section dedicated to camper van conversions. The Mercedes Sprinter van has been offered in the US for quite a few years, first by Freightliner, then Dodge and now directly by Mercedes. The forum has a long history and lots of good articles on conversions. 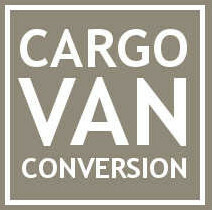 Has a dedicated section on van conversions with many good conversions stories. 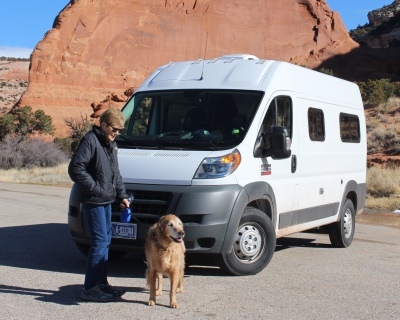 The Ford Transit van is the most recent of the new full height vans to be made available in the US for camper van conversions, so the forum is newest, but has already generated a lot of good conversion information. The best way to keep up on what’s going in the Ford Transit world. Lots of good material here covering a wide range of topics for people doing van conversions, building trailers, trying to pick an ideal RV. Some material on teardrop trailers and older RV renovations. Very nice site with lots of good articles and guides on van conversions and van living. 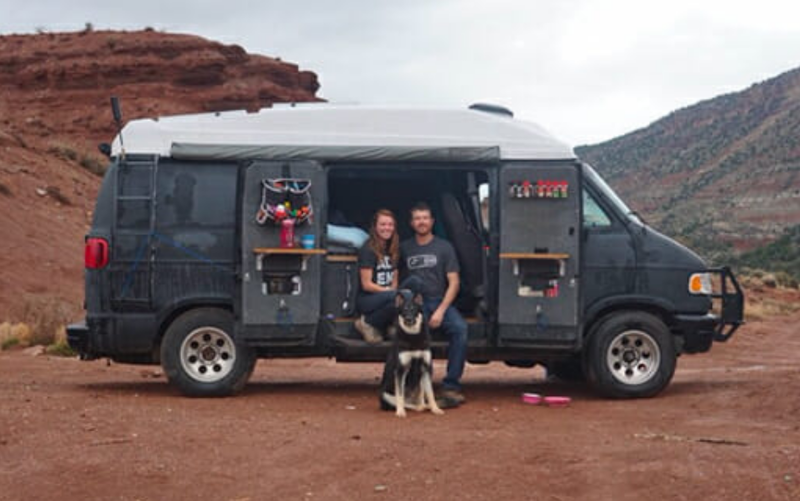 Written by a couple who have been van living/traveling for more than a year. The guides are well written and easy to read. An interesting and entertaining site written by a couple doing full time RVing. Practical projects like adding solar, and some great material on composting toilets. Travel hints and adventures. Advice on full time RVing. Ron’s interesting website goes over his Sprinter van conversion to a camper and gives a lot of advice on using it based on his experiences. On the road advice including picking camp spots. Really interesting site with lots of practical information on conversions, how to’s, full time van living, and lots more. Emphasis on low cost solutions. Very much worth taking a look at. Lots of interesting information and articles on camper van conversions. Sportsmobile does custom conversions of MB, Dodge, GM vans. They offer a variety of layouts and allow you to keep it simple, or go fancier. Lots of examples of layouts and other useful information on their site — helpful even if you are planning to do your own conversion. 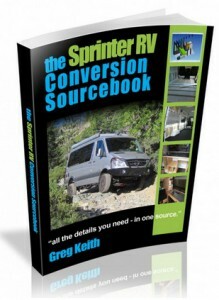 A 265 page ebook dedicated to converting Sprinter vans to RV’s and campers — $37 to buy. Lots of good ideas and good detail. While its written for the Sprinter, much of it also applies to the ProMaster and Transit vans as well as other conversions. 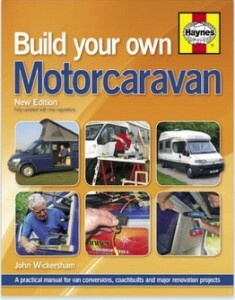 This is a UK book with some good ideas and some good practical info on van conversions. See the Amazon reviews for more. 220 pages in 8.5 by 11 inch format. About a month ago, after spending a few months looking at conversion vans and sites. I bought a conversion book – answered almost all of my questions, but (by nature?) I was still a little skeptical. So I subscribed to video instruction service that show’s a lot of how to, but seems a little short on the “why.” Last night I found your site and read… and read for 2-3 hours. THANK YOU. THANK YOU VERY MUCH. This is what I’ve needed all along. Great to hear the site is helpful. Keep us posted on your van conversion. About a month ago, after spending a few months looking at conversion vans and sites. I bought a conversion book – answered almost all of my questions, but (by nature?) I was still a little sketical. So I subscribed to video instruction service that show’s a lot of how to, but seems a little short on the “why.” Last night I found your site and read… and read for 2-3 hours. THANK YOU. THANK YOU VERY MUCH. This is what I’ve needed all along. Great to hear that the site is helpful. Would love to hear how the camper comes out — please keep us posted. Gary, Thank you so much for this awesome webpage. My 12 yr old son and I have been planning on building our own truck camper. I’ve been a carpenter for 20 years, and know how I’ll construct the actual shell, and build the interior. But I definitely needed to research the various systems involved. 12 volt Electrical, solar, Lp gas, plumbing etc. I’ve been researching countless sites and you tube videos for weeks, and then tonight I happened on your site. I’ve been roaming around the site for 4 hours now. Wow! You seem to have every base covered in incredible detail, with links covering everything i’ve been searching for, and many things i hadn’t even considered. You’ve done a lot of work, and created an incredible resource for guys like me. I just wanted to say thank you very much, and let you know that your hard work is greatly appreciated.